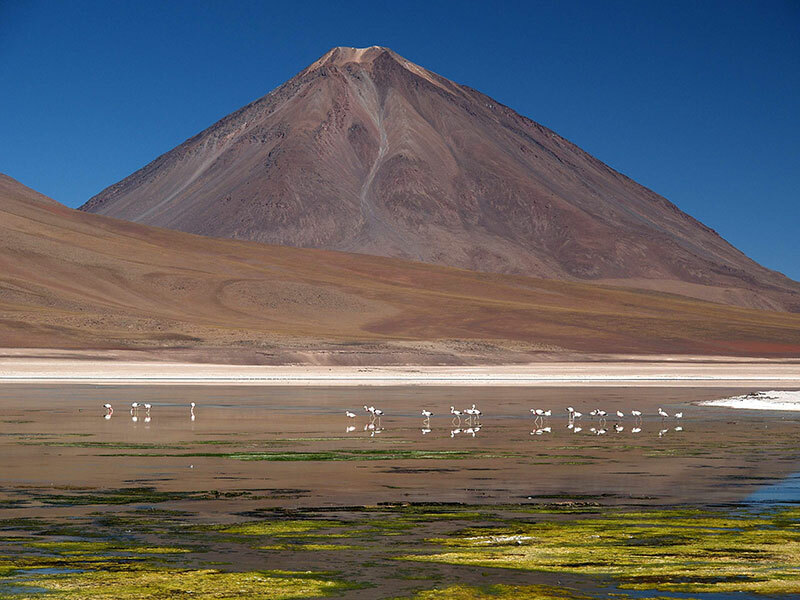 During this round trip you will discover all Chile from north to south. 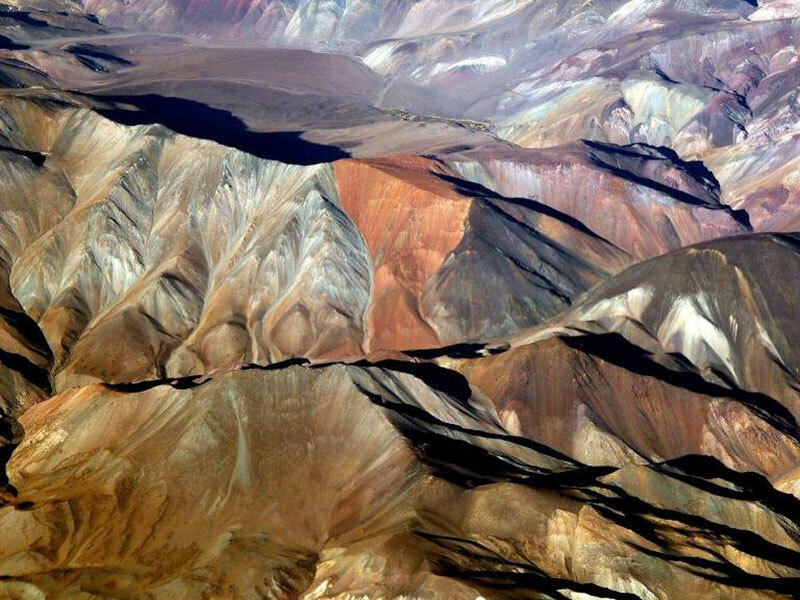 Thanks to its variety of different landscapes, Chile is one of the most diverse touristic destinations ever. 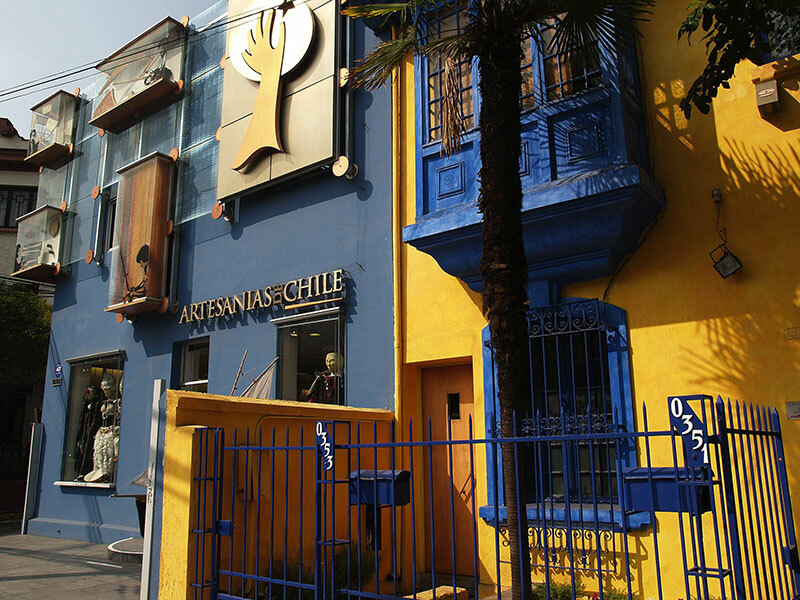 First you get to know central Chile: capital Santiago de Chile and Valparaíso situated at the Pacific Ocean. 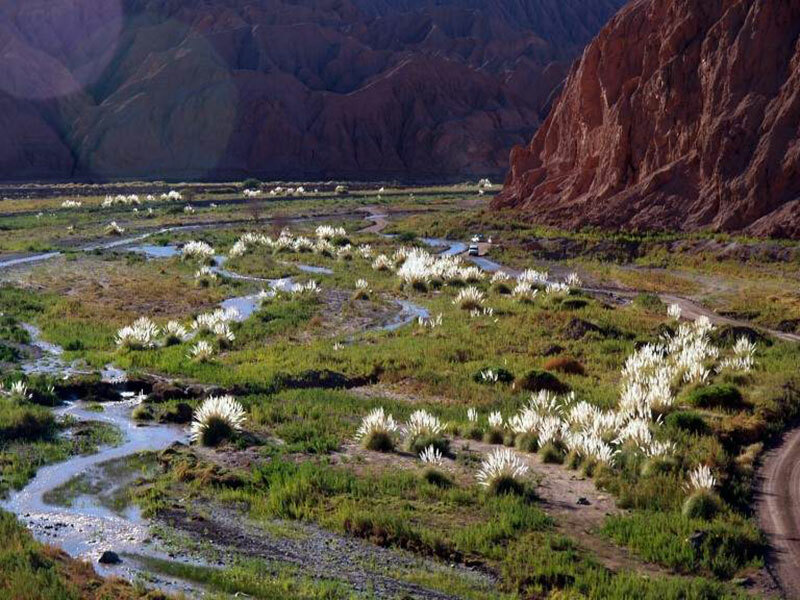 Make your experience afterwards in one of the worldwide driest deserts, Atacama, which is nevertheless location of green oasis and colorful indigenous villages. 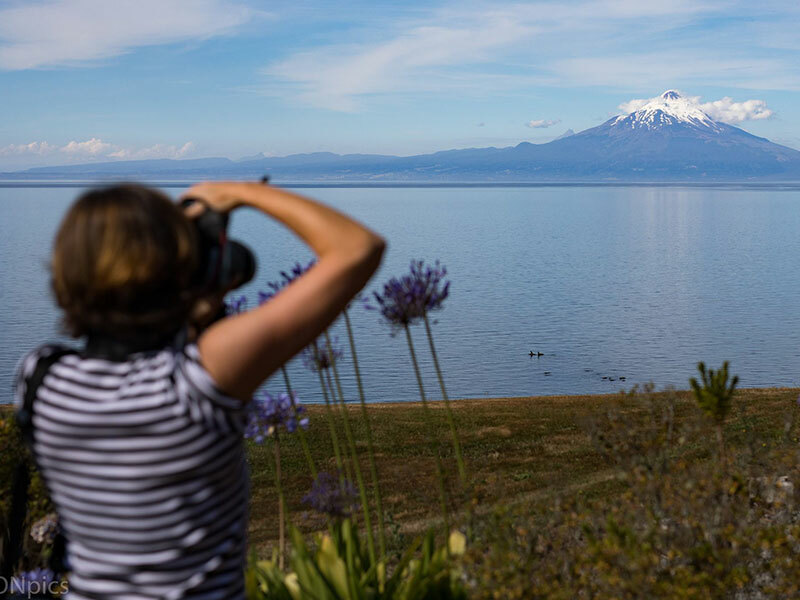 Then, you will head southwards and amaze yourself in Conguillio National Park in between a natural surrounding that remembers Jurassic Park and Puerto Varas, where volcanoes and lakes dominate the impressive landscape. 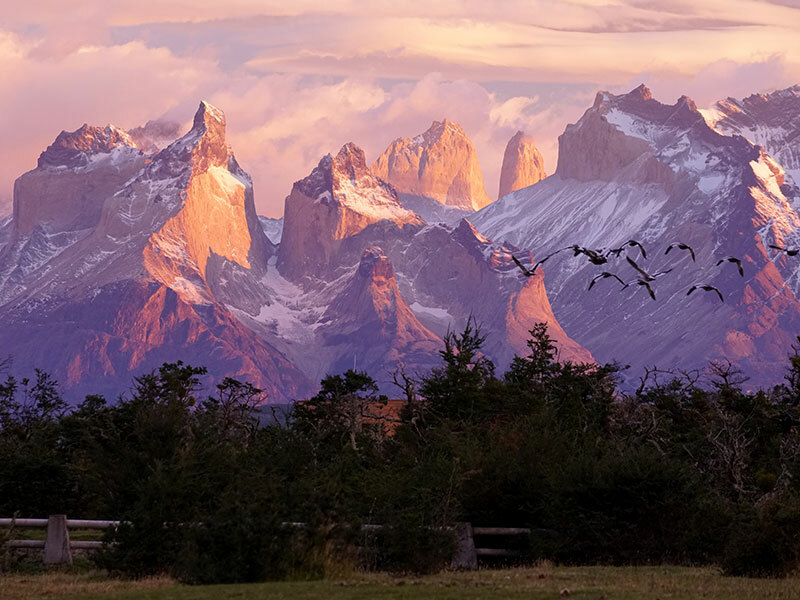 Finally reach out for Chile’s most beautiful National Park, Torres del Paine, the absolute culmination of Patagonia, a wild landscape of beautiful mountain massifs, huge glaciers, innumerable glacier lakes in a wide variety of colors and a very rich fauna will leave one with deep impressions. Arrival at Santiago airport. Reception at the International airport and transfer to the city hotel, 2 overnight stays. In the morning guided City Tour (4 hours) to check out the sights: Plaza de Armas: historical center, where you will find the cathedral. Government building (Moneda): the presidential palace still shows the violence that reigned in 1973 when the democracy of Salvador Allende was in its first steps. 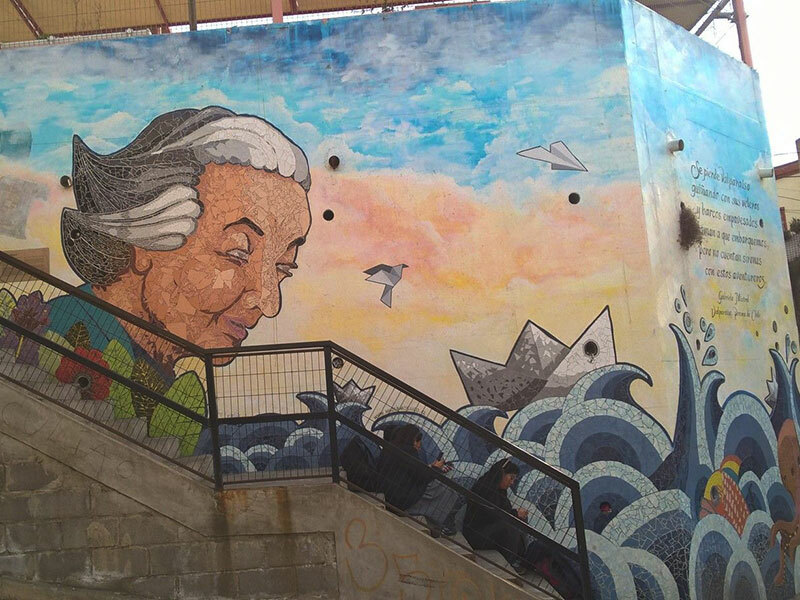 An event that still divides the Chileans today. Furthermore, there is Cerro Santa Lucia: this mount was prior to the Spanish conquering named Huelén, which means “pain, sadness“ in the language of the first habitants of the region, the Picunches. It is here where the city was found. There is a lift that takes you up the mount in order to enjoy a scenic view. Mercado Central: a beautiful merchants building dating back to 1872, but with still vibrant commerce going on a daily basis. 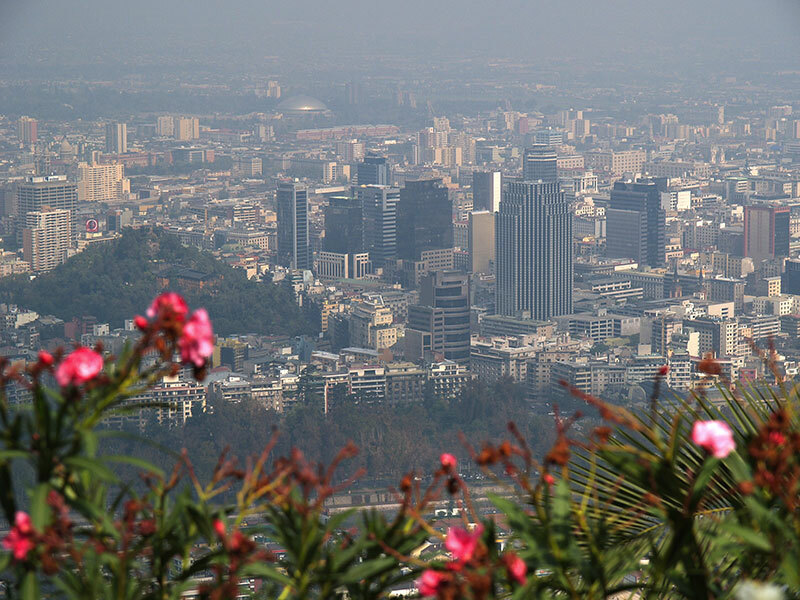 Another interesting sight is a drive up to mount “San Cristobal”, which is 300 meters high above the city. The statue of the Virgin Maria is 22 m high. After breakfast, reception of a rental car at the hotel. Take a trip on your own trough Casablanca Valley (known for its vinyards) until Valparaíso which is without a doubt one of Chile’s most interesting cities. It was built on a bay facing the Pacific Ocean and it sprawled towards the surrounding hills, that and its tram system helped it earned the nickname of “Little San Francisco”. 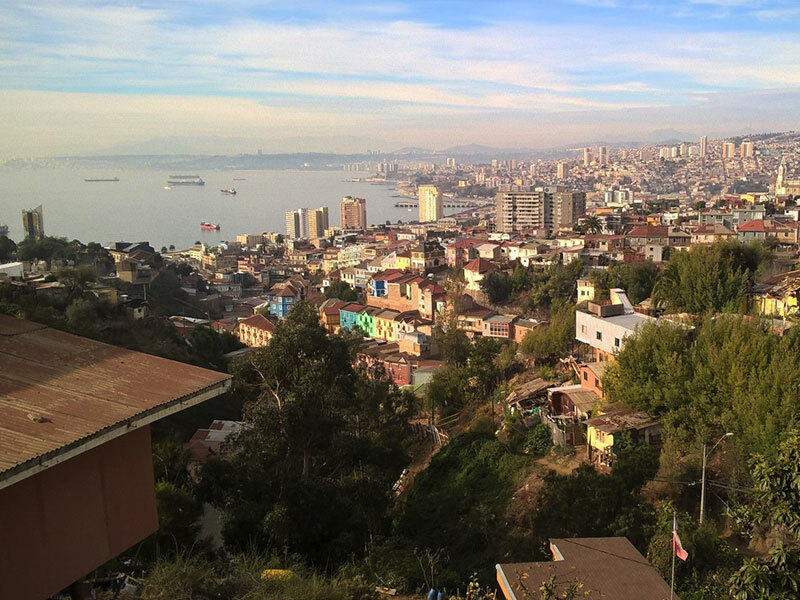 During its golden days, in the 19th century, Valparaiso became a prominent seaport for ships traveling between the Atlantic and Pacific oceans via the Straits of Magellan. All that changed with the opening of the Panama canal which meant a huge decrease in traffic for the booming port town. 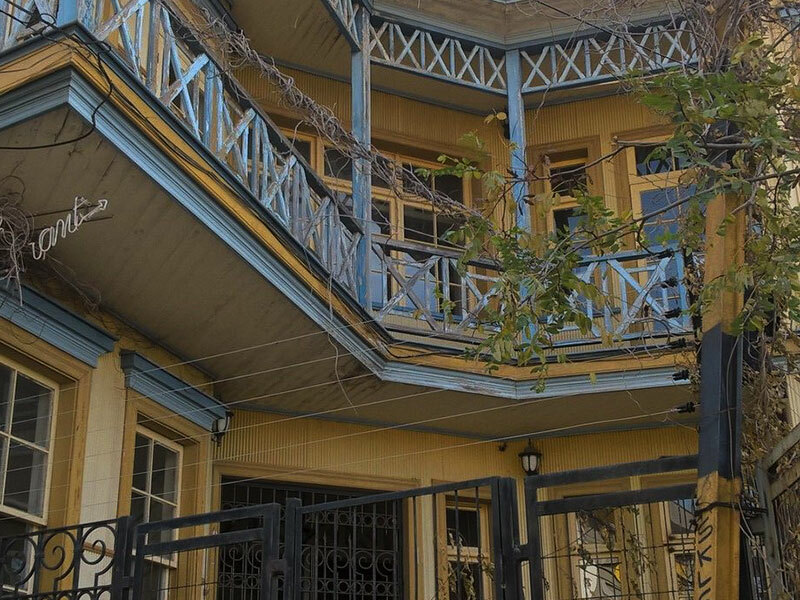 Today, Valparaiso’s charms attract visitors from all over the world who come to soak in its bohemian atmosphere, contemplate its grand but rundown architecture, and admire its colorful streets. 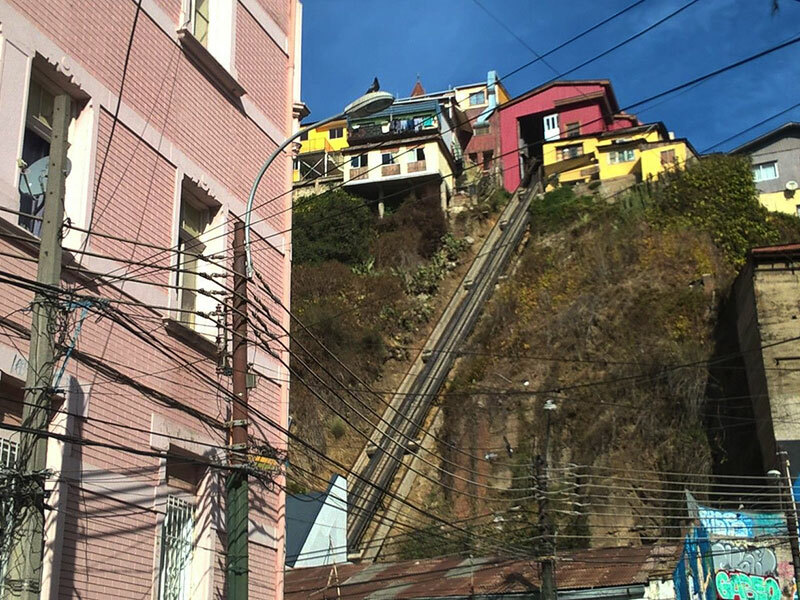 There is no other place like Valpo (as the locals call it) in the whole of South America, and it’s certainly one of the most unusual cities you’ll find on your trip to Chile. After check-in discover it on your own, preferably by foot. 2 overnight stays at hotel. Drive distance: 120 km paved. Day free at leisure. 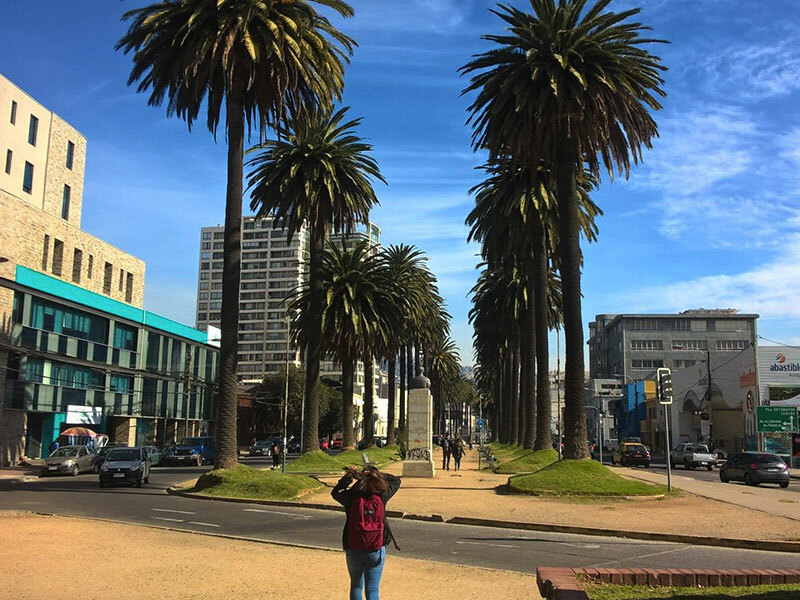 We recommend to drive until Viña del Mar and further north via Reñaca until Concón, always along the pacific coast until Maitenecillo. Drive distance: 140 kms paved (round trip). Drive back to Santiago. Car returnee at the airport and flight to Calama. 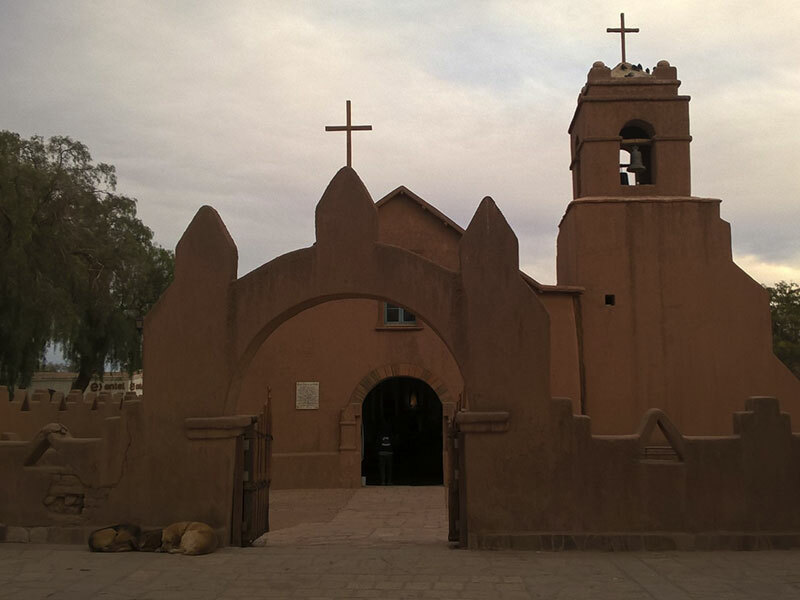 Car reception at the airport and short drive to the oasis of the adobe village San Pedro de Atacama. 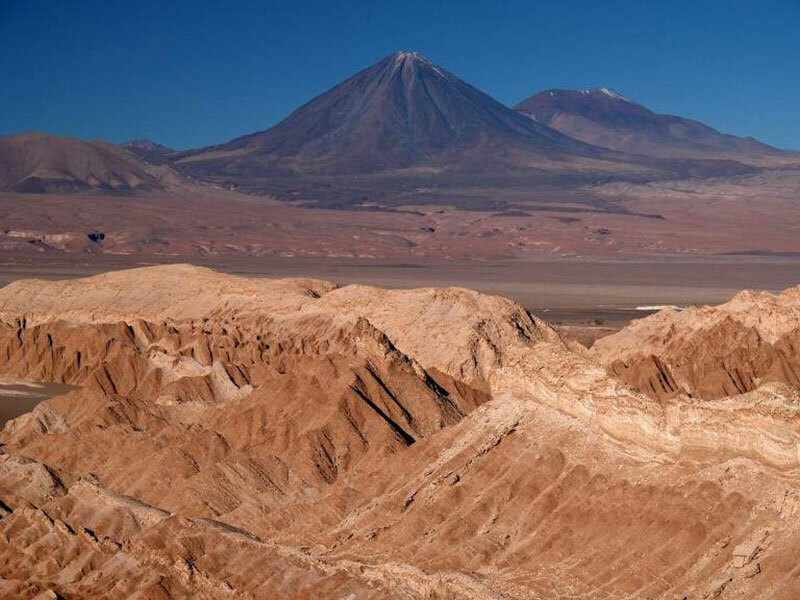 On your way you can visit the Mars Valley, and afterwards short drive into the Moon Valley and with the possibility to climb up its famous sandy dune, where you can enjoy the sunset on the Andes. 3 overnight stays at hotel. Drive distance: 100 kms paved. After breakfast drive to the Atacama Salt Flat. You can observe flamingos at the Chaxa Lagoon, the Tropic of Capricorn only some kilometers away from here (the imaginary line that separates the tropics from the moderate climate zone). 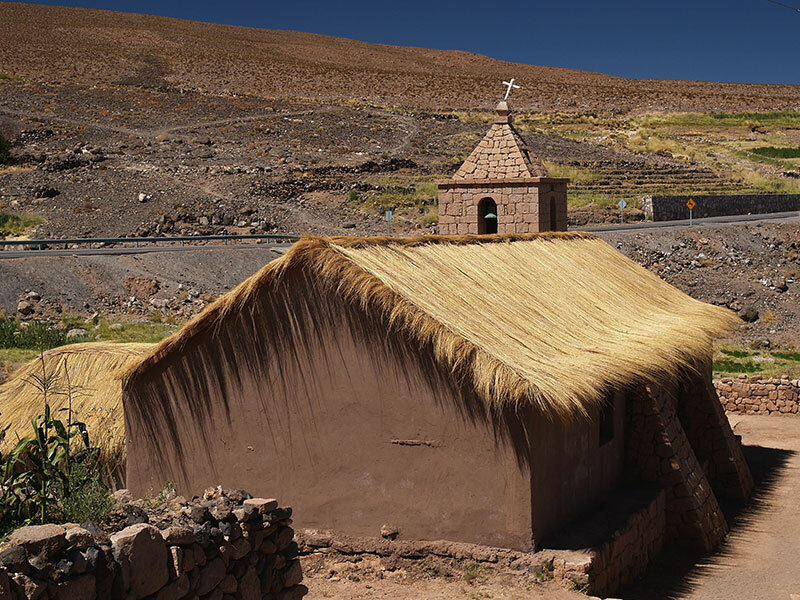 From the village Socaire, a pre-inka settlement with vegetable gardens in terrace from on 3.300 mts, only an hour later you reach Altiplanico Lagoons Meniques & Miscanti: twin lagoons from the ice age where you can observe diving ducks and the camel-like llamas. 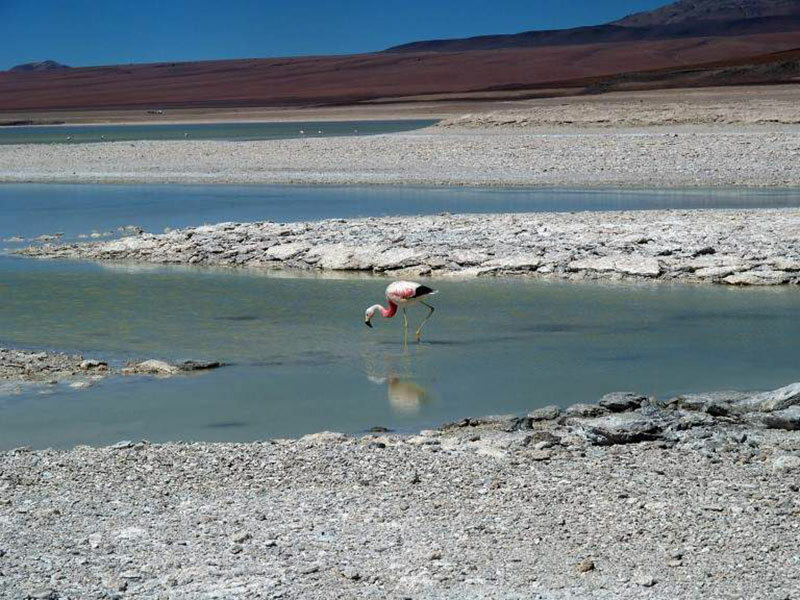 An hour later you will see the Salt flat of Aguas Calientes and later the emerald green lagoon Tuyaito. In order to be able to see the steam columns of the El Tatio Geysers, early this morning you start at 04:30 a.m. from 2.400 m. to 4.300 m, herds of vicuñas on your way. 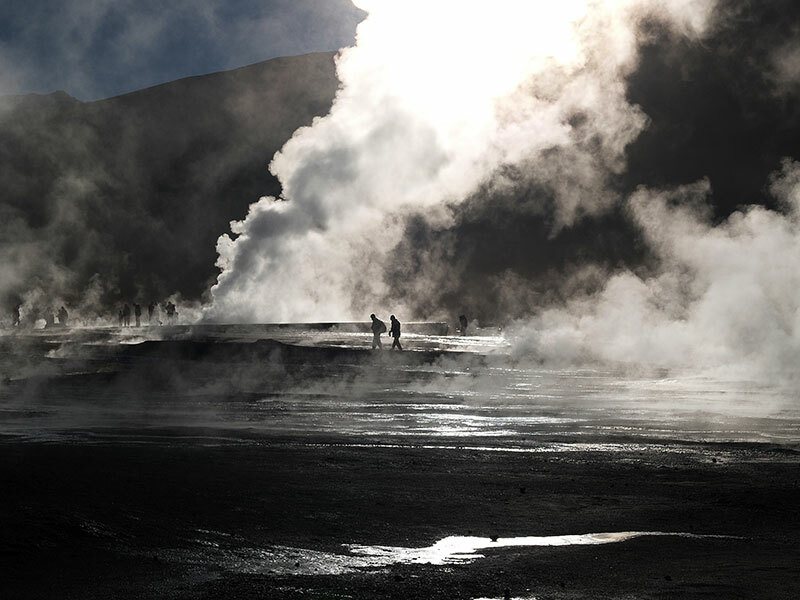 From direct proximity you can observe the steaming sources, walking through the field of geysers of the volcano El Tatio. In the afternoon visit to the ruins of Quitor. You climb up the protection facility from IX-XII century and enjoy a 360° panorama: the Andes in the foreground, the salt mountain range in the background and down below the fruitful valley of the river San Pedro. Morning free at leisure to discover sympathetic San Pedro village on your own. In the afternoon short drive to the Calama airport, car returnee and flight to Santiago de Chile. Hotel-shuttle-service and 1 overnight stay at the airport hotel. 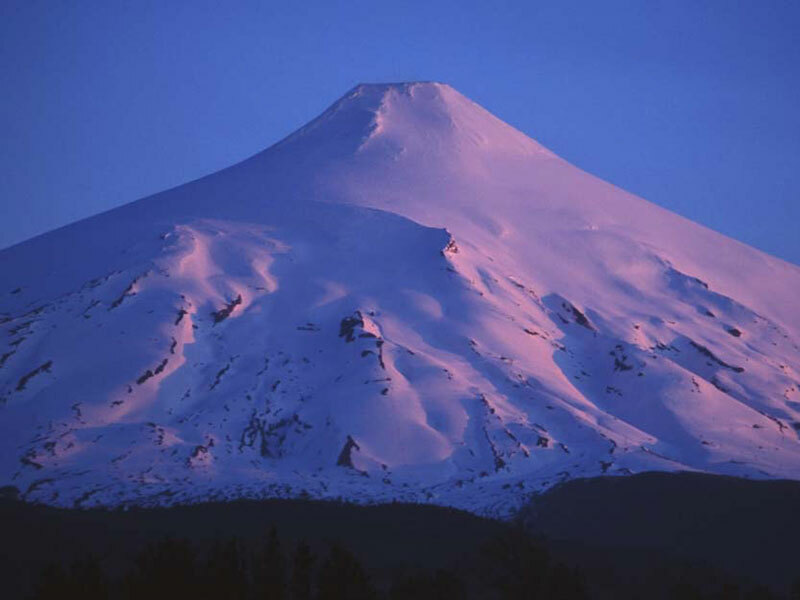 Shuttle-service to the airport and flight to Temuco situated in the heart of the Araucanía region, where lakes and volcanoes dominate the landscape. Reception of a rental car and drive eastwards until Melipeuco where you turn north to get inside of the National Park Conguillio at the foot of Llaima Volcano. 2 overnight stays at Eco-Lodge La Baita. Drive distance: 100 kms paved, 15 kms gravel. 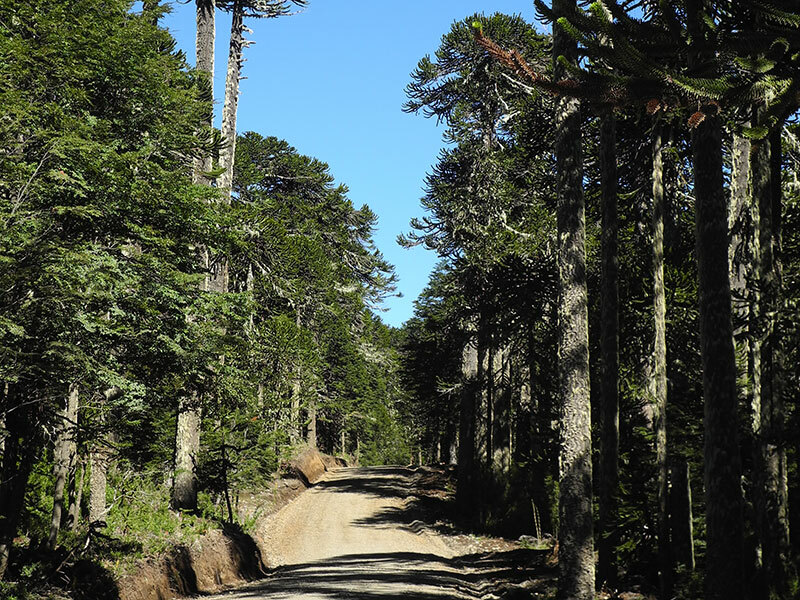 Today, we recommend a short drive to lake Conguillio and a 3-hours trek trough a forest of southern beeches and araucarias. You reach the Sierra Nevada and enjoy astonishing views over several volcanoes and bays of the lake. Today the trip continues south via Melipeuco to Pucón. 2 overnights at hotel Monteverde, with great view over Villarrica lake. Drive distance: 55 kms gravel, 80 kms paved. 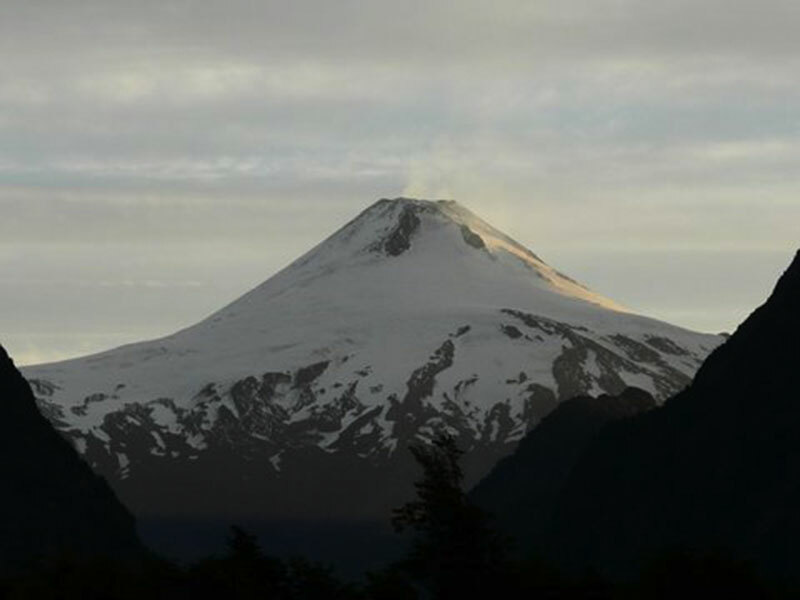 Possible ascent to vulcano Villarica or hike in Huerquehue National park climbing through the woods till you reach the lagoon´s which are numerous in this region. Another option: Rafting-Tour (difficulty III) on Trancura-river, a unique experience, to be booked locally in Pucón. 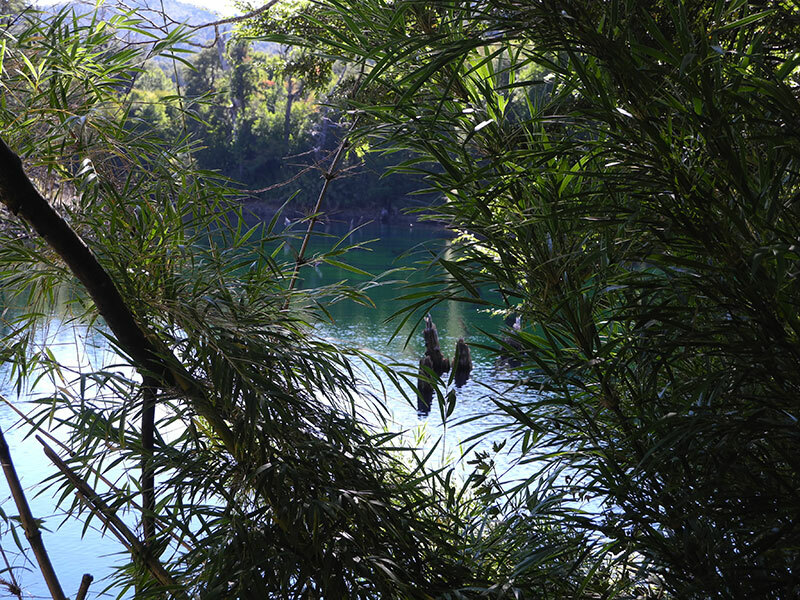 Or: Enjoy one of the various thermal bathes around Pucón. 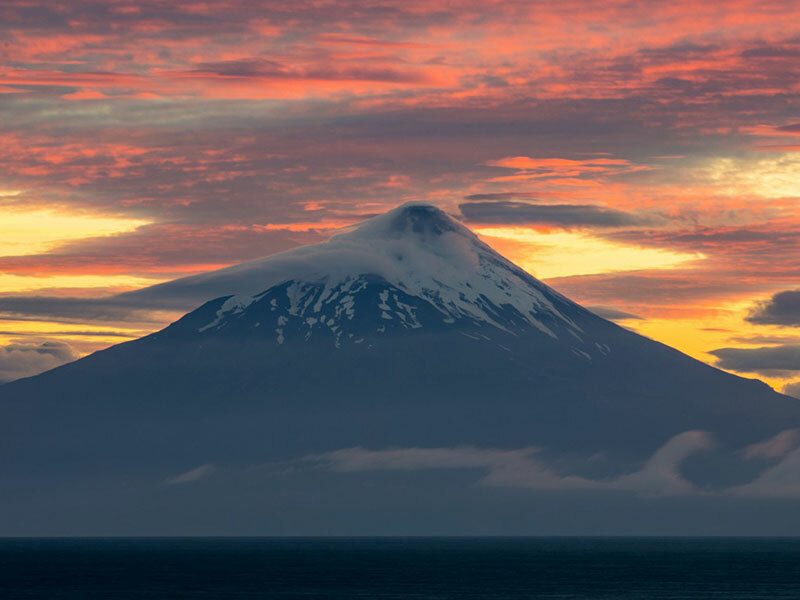 Drive southwards via Osorno and lovely Puerto Octay through the volcano region until Puerto Varas, on huge Llanquihue lake face to face with the perfectly shaped volcano Osorno. 2 overnight stays at hotel Casa Molino, with view over lake and volcanoes. Drive distance: 325 kms paved. 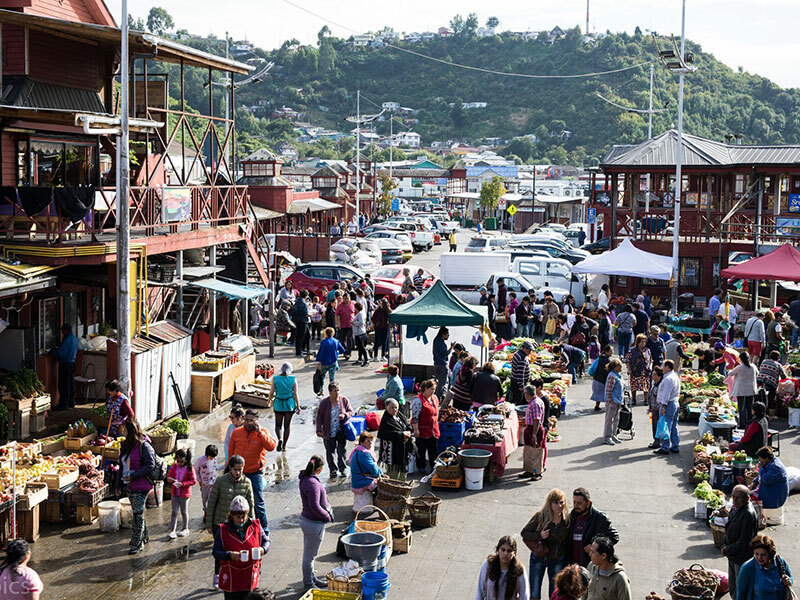 In the morning hours we recommend you visiting the fish market in Angelmó/Puerto Montt. 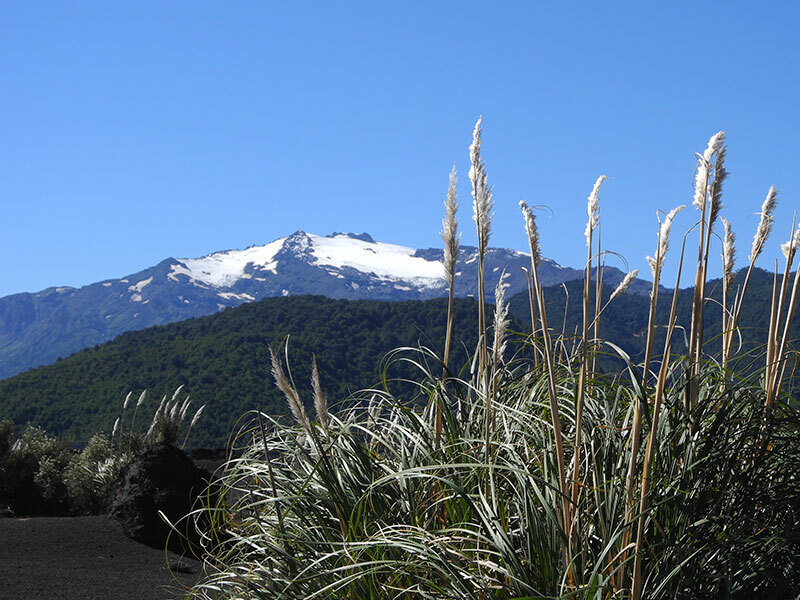 In the afternoon you can drive along the eastern coast of lake Llanquihue to the waterfalls of Petrohué and further to glacier lake Lago Todos los Santos on the feet of vulcano Osorno. Drive distance: 120 kms paved (round trip). Drive to Puerto Montt airport and car returnee. Flight to Punta Arenas. Car reception at the airport and drive trough Patagonia’s characteristic vastness until Puerto Natales. 1 overnight stay. Drive distance: 240 kms paved. Drive to the National Park Torres del Paine. 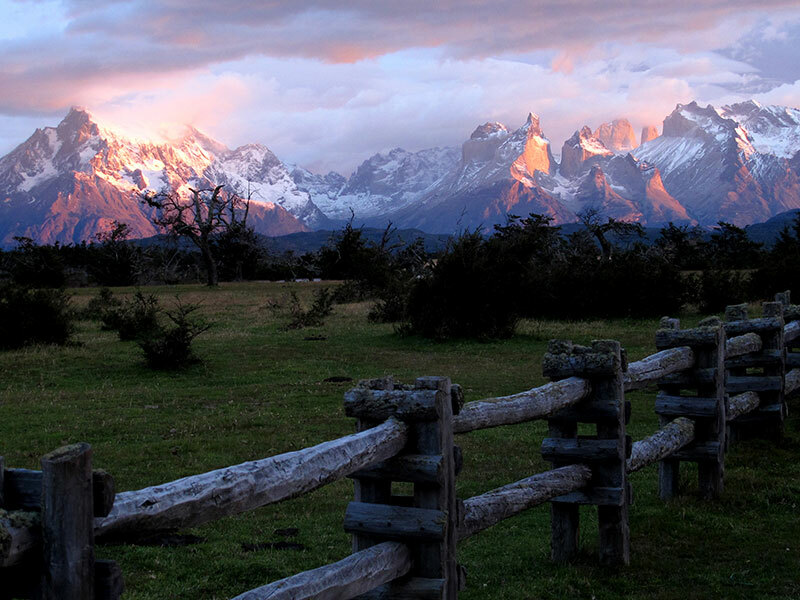 This area is the absolute culmination of what Patagonia has to offer mountain loving visitors. Beautiful mountain massifs, huge glaciers, innumerable glacier lakes in a wide variety of colors and a very rich fauna will leave one with deep impressions. Fauna: guanacos (of the llama family), foxes, ñandúes (small ostrich), black-necked swans, armadillos, skunks and throughout the mountains various bird types, e.g. 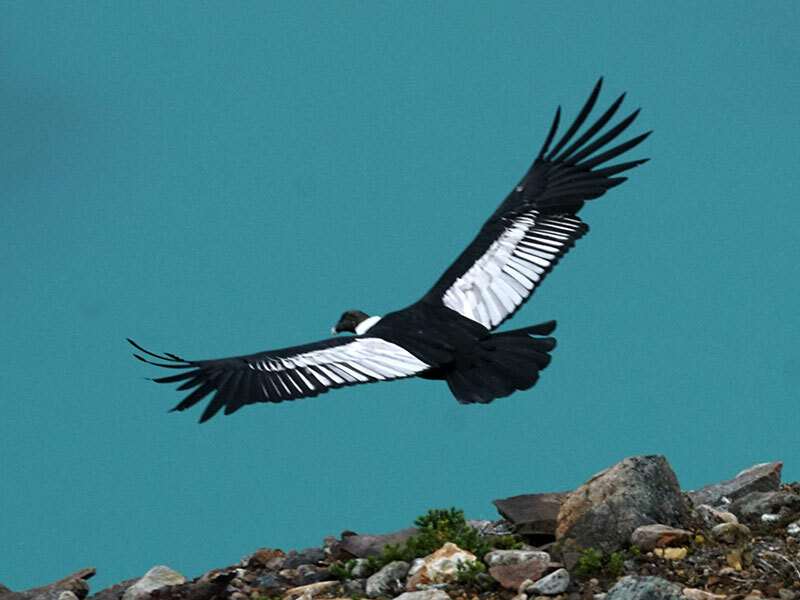 condors and eagles. 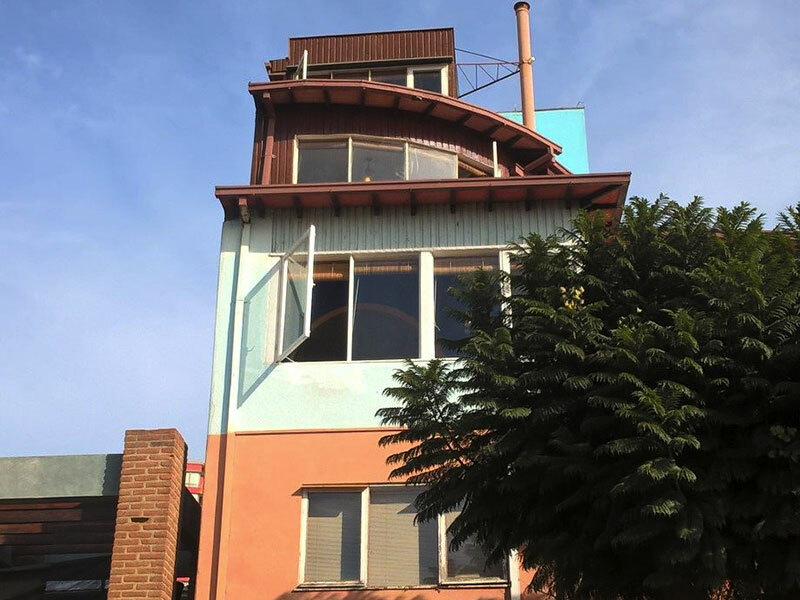 2 overnight stays at hotel in the southern park region around the Serrano river. Drive distance: 60 kms paved, 80 kms gravel. Possible hike of 2 hours in the Grey lake area along a peninsula, to the lookout of impressive Grey Glacier. 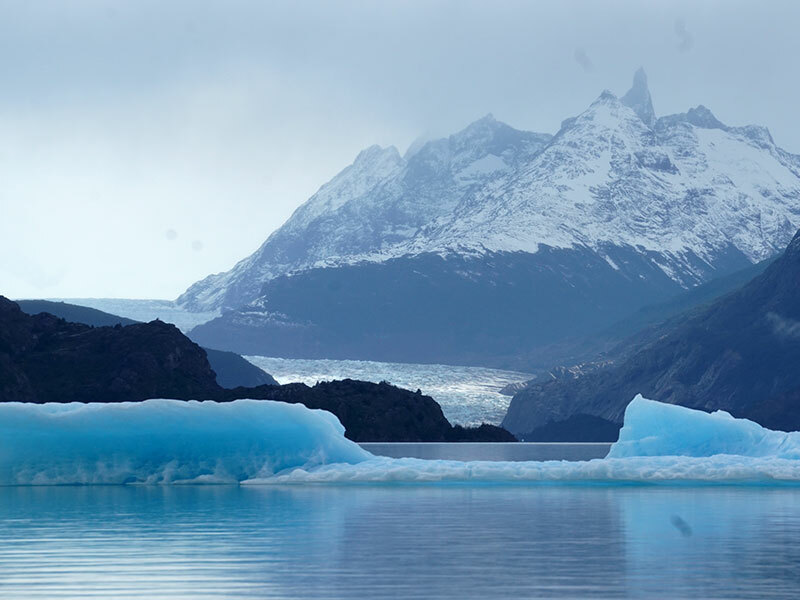 It is also possible to take a boat trip to the glacier. Roundtrip through the park passing by Nordenskjöld Lake, Pehoé Lake, Salto Grande (best view to the “Cuernos”) and Laguna Azul (best view towards the “Torres”). Here you are close to your next accommodation already, which is a still active Estancia (sheep farm) Tercera Barranca, where you enjoy 2 overnight stays. Drive distance: 110 km gravel. Day free at leisure to enjoy the surroundings of the estancia, practice some cycling or horse-back riding if weather conditions permit (not included, to be booked directly). Or: Trekking possible on your own to the base camp of the “Torres”, following the valley of the Ascencio river until the base camp. 6 hours walk of intermediate level, on well marked and frequented footpaths. 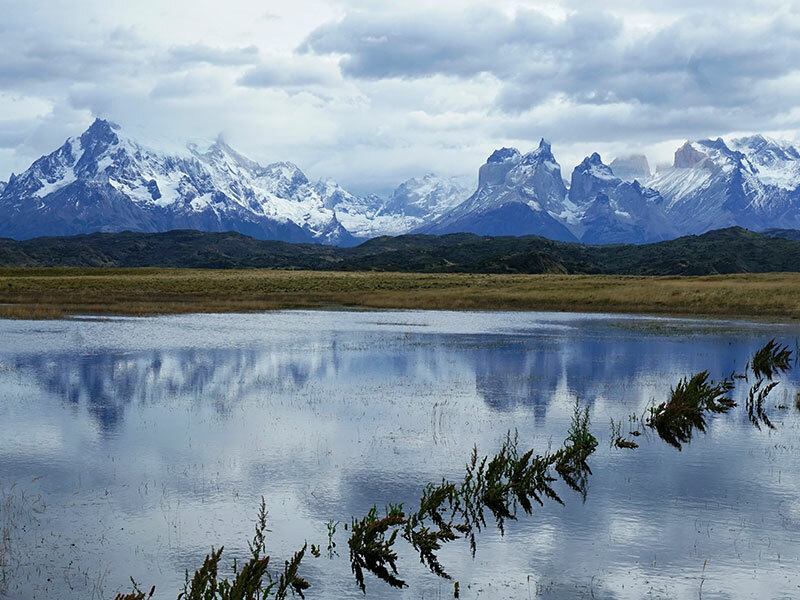 Drive for about 5 hours through via Puerto Natales to Punta Arenas. 1 overnight stay at hotel in the city center. 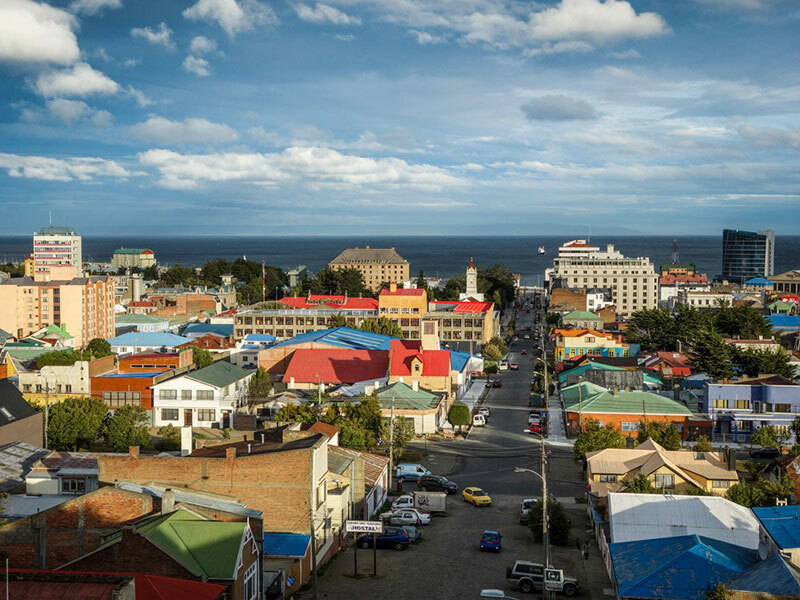 Punta Arenas is a city near the tip of Chile’s southernmost Patagonia region, located on the Strait of Magellan, which connects the Atlantic and Pacific oceans. The Plaza Muñoz Gamero has a memorial to explorer Ferdinand Magellan, and the Museo Nao Victoria features a replica of one of his galleons. Car returnee at the airport and flight to Santiago de Chile. Transfer into the city. 1 last overnight stay at city hotel. Transfer to the international airport and departure flight. Accommodation in 3* hotels in double room with breakfast included. Transfers from/to airports and city tours in Santiago in private service with English driver/guide. Santiago Rental car: 3 days Toyota Yaris, free mileage, full insurance cover with deductible in case of minor damages or accident max. U$D 800. Calama Rental car: 4 days Nissan X-Trail 4×2, free mileage, full insurance cover with deductible in case of minor damages or accident max. U$D 800. Airport pick-up & drop off. Temuco Rental car: 6 days Nissan X-Trail 4×2, free mileage, full insurance cover with deductible in case of minor damages or accident max. U$D 800. Drop off costs at Puerto Montt airport. Punta Arenas Rental car: 6 days Nissan X-Trail 4×2, free mileage, full insurance cover with deductible in case of minor damages or accident max. U$D 800. Airport pick-up & drop off.